This can help find anything such as Keys, mobile phones and remote controls. The set has 3 bleeper discs and red, yellow and blue one. Each can be attached to a object via a keyring of tape. When one of the items are lost press the relating colour. Eg if your keys have been attached with the blue bleeper press the blue button on the main control. 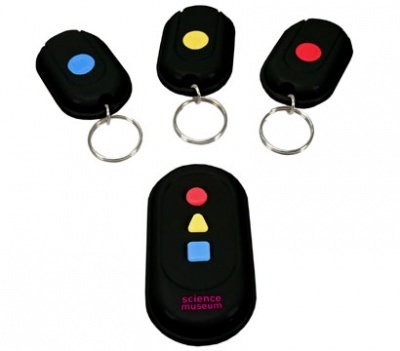 A beeping sound will then go off on your keys and you will easily be able to find them. Fantastic device for finding keys but make sure you don't look the main control!